We're still months away from Guardians of the Galaxy Vol. 2 and already there's chatter about what comes next. 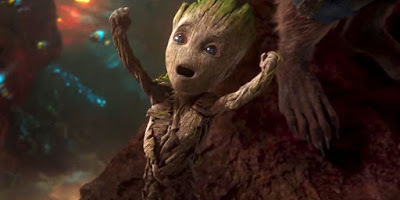 Well, first the team will be appearing in Avengers: Infinity War as part of that epic superhero jam, and then, according to James Gunn himself, there "for sure" will be a Guardians of the Galaxy Vol. 3. But there's a catch. Speaking with Complex Magazine, Gunn says some early discussions are going on with Marvel about a third film, however it's up in the air whether he'll direct it. To be honest, he played it the same way after the first movie, so this shouldn't be too much of a surprise. "There will be a Guardians 3, that's for sure. We're trying to figure it out. I'm trying to figure out what I want to do really, that's all it is. I got to figure out where I want to be, what I want to spend the next three years of my life doing. You know, I'm going to make another big movie; is it the Guardians or something else? I'm just going to figure it out over the next couple of weeks." Opening this week is the Office Space meets Battle Royale flick, The Belko Experiment, which Gunn wrote. He may want to start moving in some other directions and flexing his muscles on stuff that doesn't involve talking raccoons, but you know Marvel is going to do everything in their power to keep him around. Considering how much he loves the Guardians I doubt they'll have to twist his arm. Guardians of the Galaxy Vol. 2 opens May 5th.